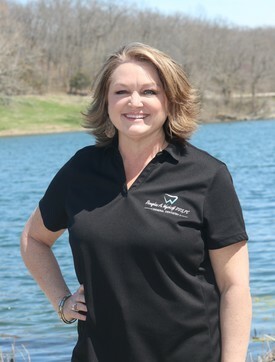 Melinda has worked in dentistry since 1987, from receptionist, dental assistant to office manager. In 1995, Melinda married a former high school friend, Doug Wyckoff! They have two sons, Daniel and Tryston. She enjoys floral design, gardening, traveling and relaxing by the pool. Her faith-life and journey with Christ are the center of her world. Each day she praises God for blessing her with her husband, sons, daughter-in-law, family, and friends. Tangela began her career in the dental field in 1989. She earned her Dental Assisting Certificate in 1990 and worked in general dentistry and oral surgery. She then decided to delve into the insurance and management areas of the dental office more than 25 years ago. Tangela is married and has four children. Her family keeps her busy with their many activities and adventures! She enjoys traveling, softball and dirt track racing. 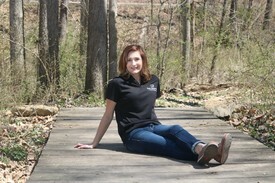 Jenna has worked as an assistant since 2003 and over half of her career with our team! She has studied and worked diligently earning several Expanded Function certificates. Jenna is married with one son, Kolton. She enjoys spending time with her family and rides horses competitively, team sorting/penning. 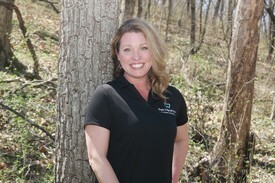 Courtney began her dental career with our team in 2006. She has worked all facets of our office, including scheduling coordinator, assistant, business assistant and now, Registered Dental Hygienist. She earned her degree in 2013 from NCMC and Hillyard Technical Center. She has one child, Lexi and enjoys spending time with her family and friends. Rachel earned her Bachelor of Science in Dental Hygiene in 2000. She too, has been with our team from the beginning of her career but had moved out of state for several years, due to her husband's position with his job. She has since moved back to Missouri and rejoined our office in 2017. Rachel is married and has 3 sons, which keep her very busy with their sporting activities.